At 4:45 p.m. on Friday afternoon, OCAD University received the devastating news that the government of Ontario has withdrawn provincial funding for the Creative City Campus (CCC). We are unwilling to accept this as a final decision. Ontario’s competitiveness depends on OCAD University’s talent. Our institution delivers practical, technical, creative learning to fulfil the needs of Ontario’s labour market. OCAD University students get jobs and create jobs. The Creative City Campus has been in planning for more than a decade and will add approximately 50,000 square feet of new space and 95,000 square feet of renovated and repurposed space, a step towards addressing OCAD University’s critical need for an expanded campus. Since we launched the project in 2016 with a provincial commitment of $27M, we have been successful in raising private, federal government and institutional funds to match this funding. As a result, the Creative City Campus project is already underway. We have been in ongoing communication with government to reinforce the value of OCAD University to the Province and we are shocked at this decision. There is no better, concrete example of our vision for the future of OCAD University than the Creative City Campus, and our supporters continue to share this vision. Together, we will explore all possibilities as we determine our way forward. In the near term, we will consult with the university’s Board of Governors and key stakeholders to establish a set of next steps that supports the continued transformation of OCAD U. We will remain unwavering in our commitment to strengthening our role as the largest and most comprehensive Canadian university of art, design and media. We will keep you informed as new developments emerge, and as circumstances determine the need for community input and recommendations. Fabrication & DRPT Studio Renovations! 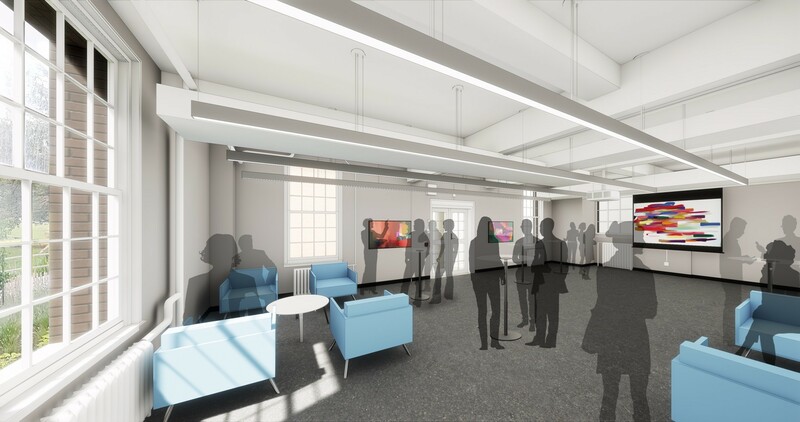 The next phase of the Creative City Campus (CCC) project construction will soon begin: the renovations of more than 30,000 square feet of Fabrication and Drawing & Painting studios at 100 McCaul St. This is a significant step in the project to transform OCAD U’s studio-based learning environment. The CCC consulting team, led by Teeple and Morphosis Architects in collaboration with Two Row Architects, has worked over the last year in tandem with OCAD U’s Campus Planning and Projects team, our technicians, faculty, staff and students to plan for this project. To enable efficient, cost- and time-effective work, some parts of the studios will be temporarily closed during the renovations. Required, core course offerings that are dependent on these studios will be prioritized for relocation elsewhere on campus during the summer and fall academic terms. The Campus Planning & Projects team, with the help of our technicians and staff, have also organized external partnerships and alternative arrangements to accommodate our community’s needs. More information on these alternatives will be available by spring. 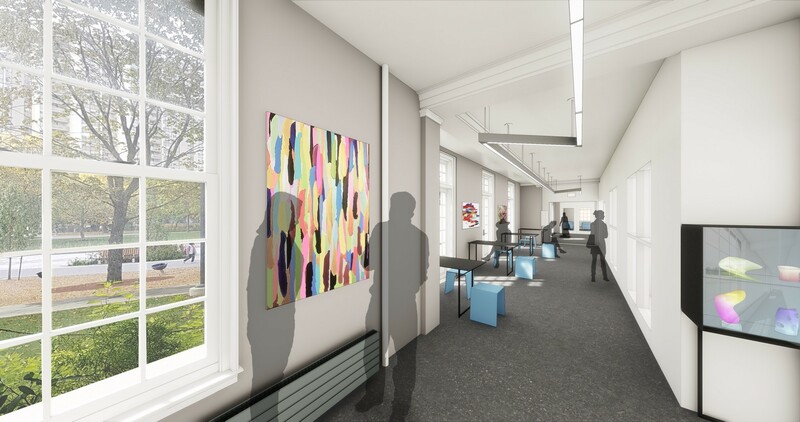 All members of the team are aware of the impact that these closures and renovations will inevitably have on the community over their duration en route to creating a better learning experience. The team’s objectives are both to minimize disruption and to complete the renovations as quickly as possible. In addition, the roof of the original building at 100 McCaul St. will have end-of-life mechanical units replaced with new energy-efficient units integrated with the Building Automation System. Core functions of the Fabrications studios and related activities will be re-located throughout the construction period beginning early summer. Certain areas of the main building at 100 McCaul St. will be affected while the heating, air conditioning and ventilation (HVAC) units are upgraded. Temporary measures will be in place for affected stakeholders. Complete details will be provided in the near future. A number of options are being considered; the team will consult with those impacted to finalize these plans. Our technicians are key community members with important roles supporting students’ use of equipment, procurement and distribution of materials and training in processes in OCAD U’s studios. They will continue to work as normal throughout the temporary closures of the Fabrication studios and will be deployed to the alternative studio areas where they will continue to provide their support (e.g. the studios with wood and plastics on Level 5, and in the Foundry for metal processes, etc.). Rooms MCA 161, 166, 140 and 141 will continue to be available as exhibition space for GradEx; they will be closed and their functions relocated following the show on May 11. As per the dates listed above, the core Fabrication studios will be closed as of April 23 to enable faculty and staff to pack and prepare equipment for moving, and clean out the studios to start construction. Tool Loans will be moved to a temporary location in time to support GradEx setup. Wednesday, February 20, 10:30 a.m. to 12 p.m.
Tuesday, February 26, 3 to 4:30 p.m.
Tuesday, March 5, 12 to 2 p.m. -- Lobby, 100 McCaul St.
Wednesday, March 6, 12 to 2 p.m. -- Lobby, 100 McCaul St. Questions and comments can be directed to creativecitycampus@ocadu.ca. See you at one of our info sessions or pop-ups! Temporary closures during the lift of sections of the scrim onto the Experiential Learning Centre on February 2 and/or 3. The main entrance to the Experiential Learning Centre will be closed periodically the week of October 23 to 27 to faciliate the safety requirements of construction on the exterior of the building. Students! Have your say on the Creative City Campus Project new build! Tuesday, October 2, 12 to 1:30 p.m.
Bring your lunch and join the conversation! The CCC Project Team is planning the expansion to OCAD U's main building, and needs your ideas! The architects will be here to get student input into the needs and wants, to help prioritize the new space. The Creative City Campus project will revitalize and expand the institution’s core creative spaces on McCaul Street. The project involves approximately 50,000 square feet of new construction and 95,000 square feet of renovation and repurposing of existing space in and around the existing facilities of the university. Questions? Unable to attend? Sign up for future updates and opportunities by contacting creativecitycampus@ocadu.ca. The Creative City Campus (CCC) team has been hard at work responding to feedback from the community and City Planning staff. After further studies and review of the available site options, the strategy has evolved toward building on the north end of the campus at 100 McCaul St. This option allows for an important addition to the main building at 100 McCaul St. that remains fully connected to existing studios and spaces, while respecting the iconic presence of the Sharp Centre and public realm elements further south. Over the next few days, the CCC team will be consulting with various stakeholders on this new strategy. Members of the OCAD University community can meet CCC project leaders at a drop-in event this Monday, January 29 from 11:30 a.m. to 2 p.m. in the lobby of 100 McCaul St. The Creative City Campus project team will be onsite in the lobby of 100 McCaul St. to present the latest project updates. Please drop in any time between 11 a.m. and 2 p.m. to learn more about the project, how it affects you, and ways to get involved.